Enjoying my Halloween treat while watching Chilling Adventures of Sabrina. To me, nothing says fall/winter like a nice dark beer. Stouts, Porters, I want it all. This year, I finally got to try Pollyanna’s Fun Size Milk Stout. Now, throughout the years I’ve had many variations of this beer. Coffee, Marshmallow, etc. But I was told the regular one is where it’s at. Let me tell you, this made it’s way to the very top of my favorite beer list. If you’re into sweet beers, this is basically a candy bar. 🍫 The best thing about it is it’s not TOO sweet, just sweet enough. So even though I would consider it to be a dessert beer, it could still go with your normal food you would drink with a Stout. If you’re into Stouts, hurry over to Pollyanna in Lemont, IL and get Fun Size before they’re tapped out. You will not regret it! Well, it wasn’t big or fat, but it was at a brewpub and it was magical. This past weekend, Grizz and I, after like a 3 year engagement, finally got married at our favorite brewpub, Flossmoor Station! If you don’t know, Flossmoor Station is a repurposed train station in Flossmoor, IL. It’s been a staple for us and our friends for some time. Great beer, great food (the fried pickles are to die for) and a cute atmosphere. Everything is train themed, including a lot of the menu. After talking to one of the fabulous staff members serving us for the night, I learned we were the first people to get married there. The Station has a “Caboose Deck” for events. There’s a caboose on the back deck that is actually an ice cream shop. The wedding itself was held on the caboose steps. The groom entered the area from the street while the bridal party was staged inside the restaurant. When the music (Within You from my favorite movie, Labyrinth) began to play, the party joined Grizz on the deck. Each couple walked in; the gentleman in black, each wearing bow tie with a different color of the rainbow and the ladies in black holding respective flowers. The music switched to “As The World Falls Down” (also from Labyrinth) as I entered with my dad. The ceremony was short and sweet, performed by one of our best friends, Barry. When we were finally pronounced Mr. And Mrs. we walked out to Here’s to Us from Halestorm and were greeted with personalized drinking horns, a gift from Barry, engraved by best man, Shaw. They were already filled with our favorite beer, The Pullman Brown. Definitely a must have, if you’re into the dark beers, brewed with the sweeter flavor profile, such as caramel, chocolate, and coffee. Then it was time for dinner. If you have never eaten at Flossmoor Station, you absolutely must. There is not a single thing I’ve tried that I didn’t like. For the wedding we had, BBQ chicken, pulled pork, Mac and cheese, and green beans, and fresh fruit. And of course, even though it wasn’t part of the menu option, a plate of fried pickles (seriously the best I’ve ever had) appeared before me. Perks of being the bride, I suppose. Strawberry cheesecake and cookies and brownies were served for dessert, and it was time for dancing. Grizz and I danced to a version of “Fly Me to the Moon” that resembles the ending to Evangelion (his favorite anime) the most. Grizz and his mom danced to “Tennessee Waltz” which they always danced to when he was a baby. My dad and I danced to “The Best Day” from Taylor Swift, since the first time I heard that song I played it for him and told him whenever I get married, we’re dancing to this. Then, the floor was open to everyone! I danced the night away, drank delicious beer, and hung out with the best people on the planet. It was small, it was intimate, it was the freaking hottest day of the year to have a wedding outside. And it could not have been more perfect. If you follow me on Instagram, you might know a few weeks ago Grizz and I took an impromptu weekend trip to Nebraska for the Bellevue Renaissance Faire with our friend Barry. It was a good time to check out some beer outside Chicagoland! 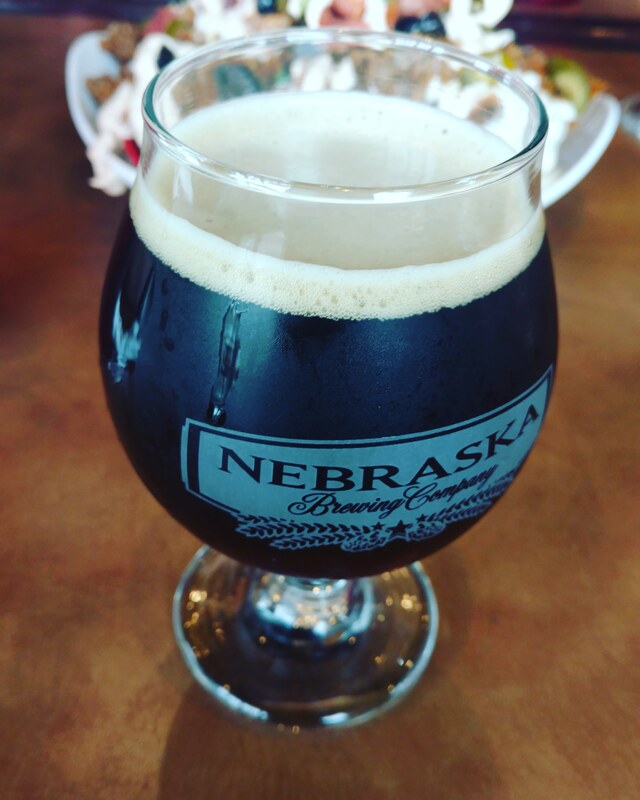 Our first night in town, we visited Nebraska Brewing Co. The perks of going in a group is getting to try each other’s beer. I wish I could remember everything I tried, but I do know the Brunette Nut Brown was really good. Probably one of the better ones I’ve had, so I’d really recommend it. (I promise, now that I’ve started this, I will be better at keeping track of what I try and what my opinions were.) As far as food goes, we only got the Nachos because we knew we were having dinner soon. But the nachos were amazing! If you’re not really a beer drinker, but you like nachos, it’s definitely worth checking out! 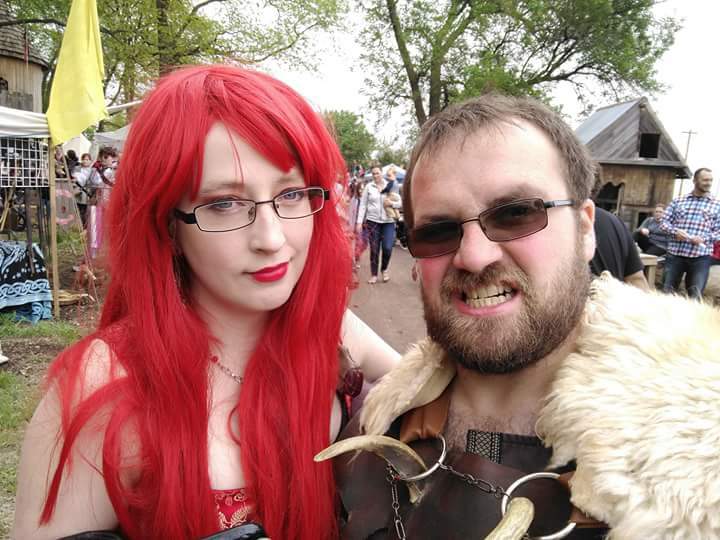 We had some beer at the Faire but I can’t remember them either (I Promise! I’ll get better at this!) Hey look at this. On our way home we decided we’d hit one more brewery for lunch. 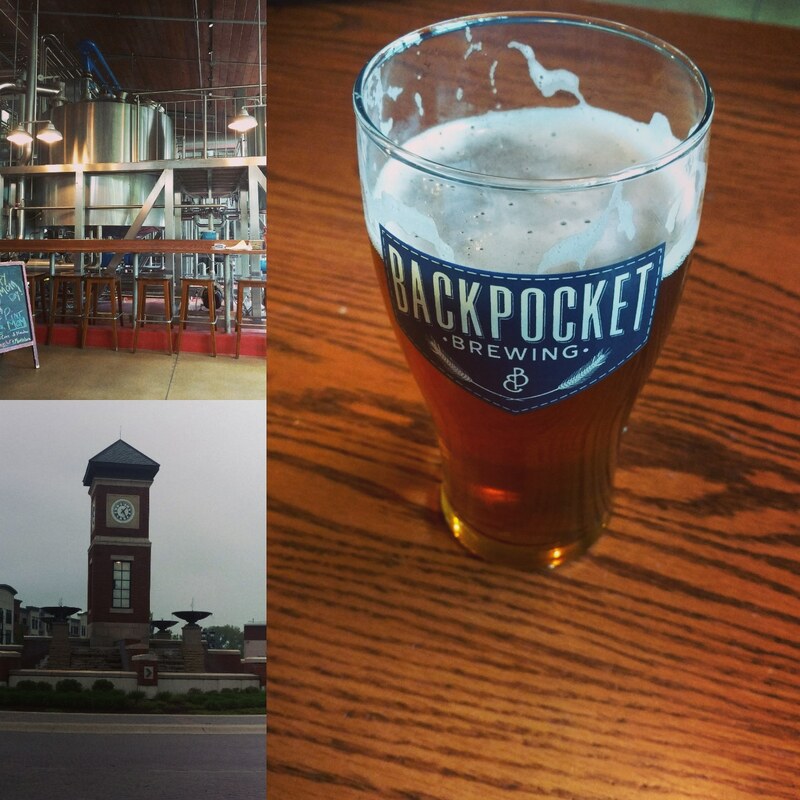 We found Backpocket Brewing in a little industrial area in Iowa. I tried a few things between the group that, you guessed it, I don’t remember. But the one thing that stood out to me was the Pucker Up Raspberry. As the name suggests it’s a raspberry flavored sour, which was off-putting, yet intriguing to me. I love sours, but I’m usually skeptical of berry flavored beer because to me it almost always tastes like cough syrup. So I wanted to try it. My friend got a sample and I tried his and really liked it! The raspberry came through, but not in an offensive way. And the sour was just right. I was noticing they had a lot of other things in the “Pucker Up” lineup. And I really wish I could try them all! If anyone knows where I could get it in Chicago, let me know! Oh, and the lunch. They only had stone fire pizza (and appetizers) but they had a lot of really interesting choices in that regard. We got a BBQ chicken and a Pesto Chicken and they were delicious! It’s no Chicago deep dish, but damn it was good lol! All in all, the trip was great. I wish it could have been longer and we could have seen more places. But, definitely not bad for a weekend. Well friends, I’m back. For now anyway. If you’ve been around for awhile you might have noticed some things have changed around here. I made an update to the About me page, but I’m going to go ahead and copy it here because I feel like it explains a lot. This page is getting a makeover, but if beer and beauty are not your thing and you were just here for my photos, don’t worry you can still find them here. “I created this blog because I’ve always loved blogging, but I can never settle on a subject to write about. For awhile, this was a place for me to upload photos because my passion is photography. Well, it was. Not saying I don’t love it still, but now that it’s my job, it no longer feels like a hobby. So, I still wanted to write about something I’m passionate about. And that’s beauty! Or… beer! Or how about both! That’s right, I’ve decided to combine my love of both beauty and beer, and hopefully it becomes something worth sharing. I can’t guarantee I’ll update every week, but I’m planning to update every time I check out a new brewery or I find something in the beauty world worth mentioning. I’m looking forward to revamping this blog, and hopefully falling in love with blogging again. I’m thinking of revamping this blog. I really want to talk about beauty and breweries, so I’ll be archiving my posts and possibly changing my layout. More later. October 1st marks the first day of Photober! I’m going to leave a sticky post for the month! If this works out I’ll keep doing it for the rest of the year. I’m just going to keep adding to the same post every day.